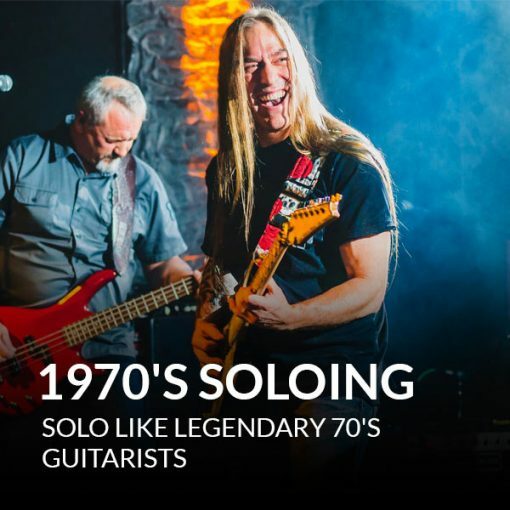 1970s Guitar Soloing Masterclass is a 6-week online masterclass that helps new and advanced guitarists play in the style of legendary guitarists from the 1970s. How to fingerpick in the style of Fleetwood Mac guitarist Lindsey Buckingham. 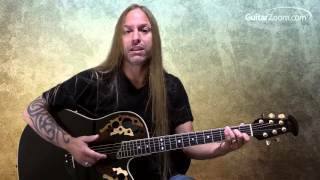 1 easy way to create melodic solos with fingerpicking and double-stops. So you can spice up “boring” chord progressions. How to play in the blues/rock style of ZZ Top’s Billy Gibbons. The critical importance of hybrid picking. 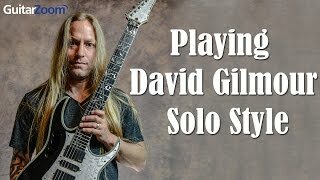 So you can add blues mojo to your solos. 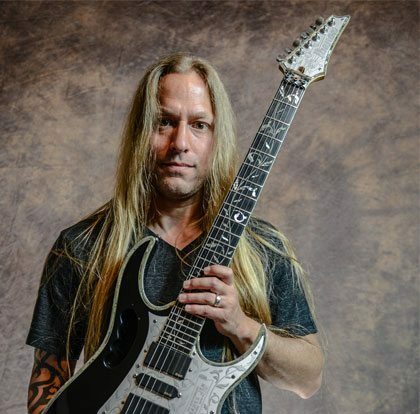 3 essential soloing techniques every guitarist must know: trills, string bends, and pinch harmonics. 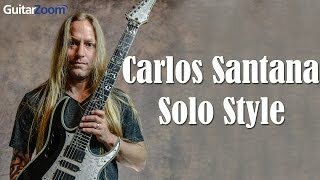 How to play Latin-inspired guitar solos in the style of Carlos Santana. Crucial chords Santana uses to create his unique sound, so you can add flavor to songs you play. 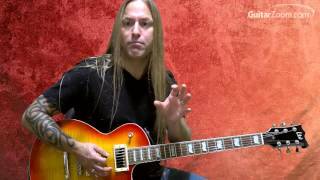 Simple ways to use speed and dynamics to create solos that sound as great as they feel to play. How to play rhythm and lead guitar in the style of Pink Floyd’s David Gilmour. How Gilmour uses arpeggios (broken chords) in his chord progressions. So you can create different “layers” in the songs you write. Easy ways to use string bends and vibrato to make your solos sing. So you can play with that special “touch” that helped make Pink Floyd famous. The upbeat, aggressive playing style of “Motor City Madman” Ted Nugent, and how you can bring Nugent’s unrestrained energy to your own playing. Discover how Nugent creates tension in his solos, as well as “walk-ups” and other techniques Nugent uses. So you can see how they’re done… and how much fun they are to play. The dark, power chord-heavy playing of Black Sabbath’s Tony Iommi. So you can add a chunky “metal” sound to your playing. How to perform harmony bends and other techniques Iommi used in solos, as well as the scales he used to create his signature sound.